Star Wars The Force Awakens has smashed in cinemas, and Disney is set to cash in further on the franchise’s overwhelming popularity. 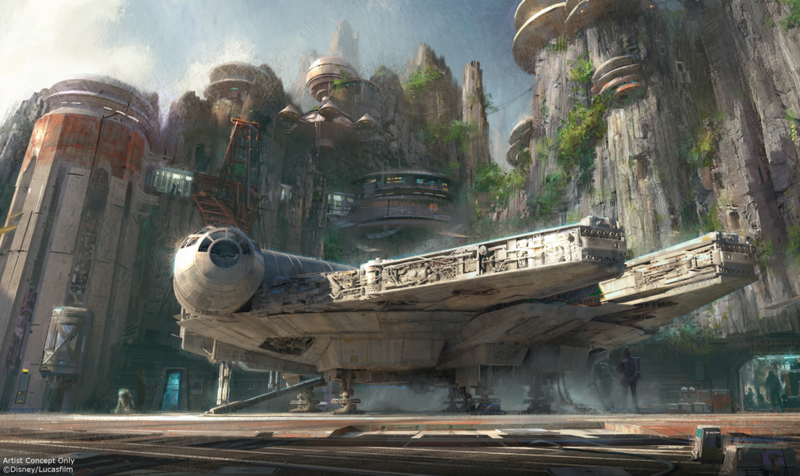 Disney is planning to develop ‘Star Wars Land’ at its major resorts. The news was announced earlier in the year but, prior to the hype of the latest film’s release, may have passed you by. The movie grossed an estimated $238 million (£159 million) in U.S. and Canadian ticket sales over the weekend, but the earning potential of a dedicated theme park could exceed that figure over time. Details as to what rides and exhibits will feature in ‘Star Wars Land’ are scarce at present although there are rumours it could involve a trip on the Millennium Falcon. Minus all the bratty kids and overpriced refreshments, this sounds awesome.